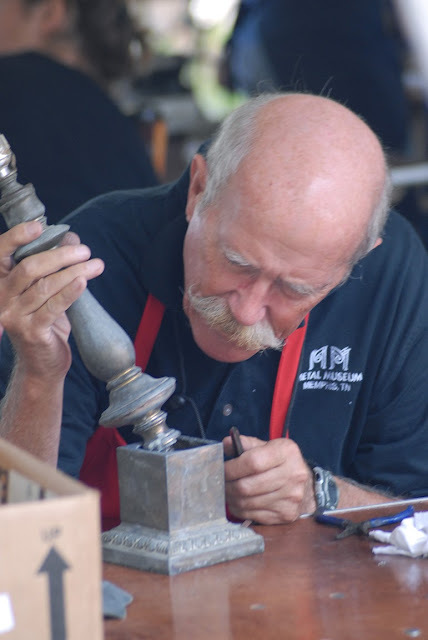 Don't worry about a ding...because metalsmiths from across the country will be here to solder, sharpen, remove dents, re-tin copper cookware and repair garden furniture and statuary. All proceeds benefit the Metal Museum. Estimates are free and visitors with repair receipts receive free admission to the Museum during the event. Click here to become a Friend of Repair Days. Saturday is Family Fun Day with activities for everyone! And you'll want to stick around for a full evening of events, including the opening reception and gallery talk for our Master Metalsmith exhibition, world famous stew and our annual art auction. This year the Metal Museum has partnered with the Holiday Inn Downtown Memphis to offer discounts for our Repair Days guests. Call into the sales office today to make your reservation. Please contact Lavinia Porter at 901.526.2001 or lporter@hisdowntownmemphis.com. Sunday is pick-up day - no new repairs will be completed.